Well, Spring is thinking about springing. And when that time comes, you may notice your home is in need of a little TLC. Here are easy Spring tasks to freshen up your space and make it more eco-friendly. 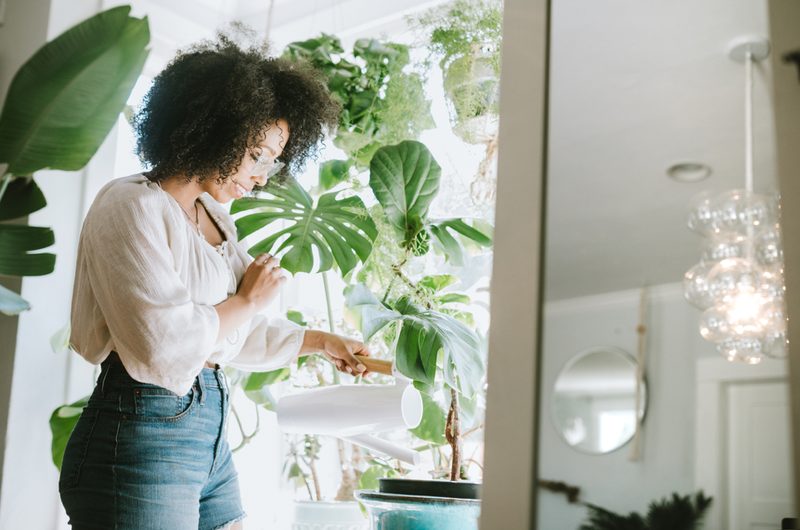 On top of making your home literally greener, plants are a great way to remove air pollutants and improve your indoor air quality (IAQ). Unsure of where to start? Philodendrons are some of the easiest plants to grow because they adapt to your home’s natural environment. They’ll also get rid of that pesky formaldehyde lingering in the air. Win-win! If you’re going to go on a Marie Kondo binge, donate the items that are still in good condition. Less wasted space for you, and less waste in our landfills. Green cleaning products will give you the same tidy home without the chemical residue of average products. On top of being non-toxic, many green cleaning products are sustainably manufactured and biodegradable. Check out this great list from The Good Trade to find the green cleaning supplies of your dreams. Save the trees! While you’re opting for non-toxic cleaning products ditch your paper towels. Switch to reusable towels or give a second life to old t-shirts that didn’t make it through the Marie Kondo donation process. Either way, you’re saving money and trees. We know what you’re thinking, “Didn’t you say these tips were easy?” And yes, yes we did. Replacing your air conditioning system is easy when you enlist the help of Heating Specialties. Heating Specialties has a wide variety of systems available. Give us a call, and we’ll help you find the right one for you. Once it’s installed, you’ll notice lower energy bills and experience better IAQ. Plus, now through March 31st, you can save $300 on a pre-season air conditioner. Claim your coupon here. Replace incandescent light bulbs with compact fluorescent lights (CFLS) or LEDs. Unplug appliances when they’re not in use and clean your air filters. While we’re on the topic of energy efficiency, now is a great time to give your furnace or air conditioning system a tune-up. Heating Specialties will make sure your system is running at peak efficiency. Take advantage of our $99 Tune-Up offer today! Nobody loves a draft. Drafty windows drive up your energy bill by leaking the coolness brought in by your air conditioning unit. As you go through your junk drawer filled with past statements, take the opportunity to opt for electronic communications. On top of cutting down on the amount of mail you’ll have to sort through, you’ll cut back on paper waste. We can’t finish our list without mentioning the holy grail of green living: recycling. Old kitchen appliances, clothes, and house decor can be donated to thrift stores or charities. Food scraps can be composted. Metals, plastics, glass, paper, and cardboard can all be dropped off at your local waste management building.